If you don’t think about taxes until your company starts earning revenue, you’ve waited too long. While the IRS may not be especially interested in your company until you’ve been funded and have some capital, you need to think about taxes from the outset — to avoid tax trouble down the line, and to save money through deductions. 1. Choosing the wrong legal entity. You may choose to use sole proprietor, partnership, or some form of corporation as the legal entity for your startup. There is no “right” choice — only the best entity choice for your company. Learn the advantages and disadvantages of each before making this important choice. For example, owners of C corporations pay a corporate income tax as well as their individual taxes. 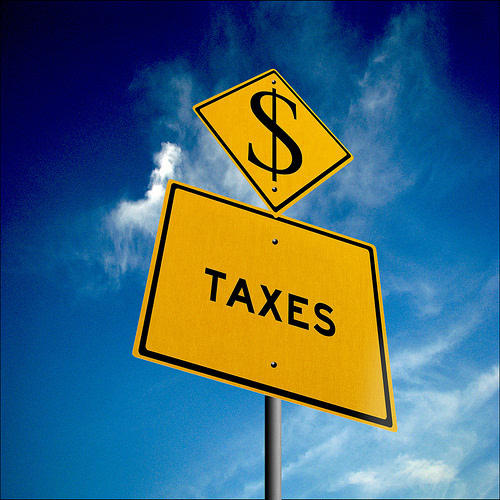 Knowing the tax laws associated with each of the entities will help. 2. Not understanding your tax obligations. Once companies start earning revenue, there are myriad taxes that need to be taken care of on a recurring basis. Given your location and legal entity, the question is: What does full tax compliance look like for your company? You may be responsible for: state and federal taxes, licensing fees, payroll taxes, 1099s and more. 3. Not asking for professional tax help. Once you get established and incorporate, find a tax advisor to make sure you are following all the regulations. Your job is to get your company up and running — to focus your energy on creating your product, forming strategic relationships, and other big-picture ideas. The last thing you want to think about is taxes. It’s essential to hire a tax advisor to accept liability, and make sure you follow all regulations. 4. Blending business and personal finances. It’s surprising how many entrepreneurs don’t separate their personal finances from their business ones. At best, this leads to confusion. At worst, you could be sued and forced to pay additional taxes. Your company could even be stripped of its corporate status. Avoid this by establishing corporate checking and savings accounts and maintaining a separate income statement and balance sheet. 5. Not deducting business expenses. From the moment you start up, you can deduct all “ordinary and necessary” business expenses. This is a broad definition that can include everything from work-related travel to office supplies to client dinners. You can even deduct such things as organizational fees and your (pro-rated) rent and utilities, if your office is your home. Keep track of expenses as you go, rather than waiting until filing time to dig up those old receipts. 6. Not using the right tools. Startups need to figure out how to track financial transactions: expenses to revenue earned, billing, and all financial obligations. Many systems can help you. At least 80 percent of our clients use Quickbooks because it is relatively inexpensive and easy to use. But there are many other systems — both software and cloud — to choose from. When finding an accounting system, choose one that allows for dual entry accounting. Even more importantly, think long-term. You need a system that will work with you now, and grow with you to be the right system five years down the road and beyond. 7. Not paying quarterly taxes. Your first year, you get a free pass for quarterly taxes. But, after that, you’re on the hook. Let’s say you incorporated sometime in 2012. You’ll have to file a tax return in the beginning of 2013; then, in 2013, you’ll file quarterly, whether you’re LLC or not. A professional can help you estimate your annual taxes and give you information for filings throughout the year. Even if you aren’t legally required to pay quarterly taxes, it’s still advisable so as to avoid an end-of-the-year tax bill that leaves you reeling. Even an individual tax return can be confusing; when you add the financial and institutional complexities associated with a startup, things can get even messier. But with a little foresight, planning, and the right professional assistance, staying on top of your tax obligations can be relatively painless.